Adds a bit of peppery zest to foods. Use instead of black pepper. Sprinkle on foods like soups, salads, meats, vegetables or pasta. Ground(4oz) - Adds a bit of peppery zest to foods. Use instead of black pepper. Sprinkle on foods like soups, salads, meats, vegetables or pasta. 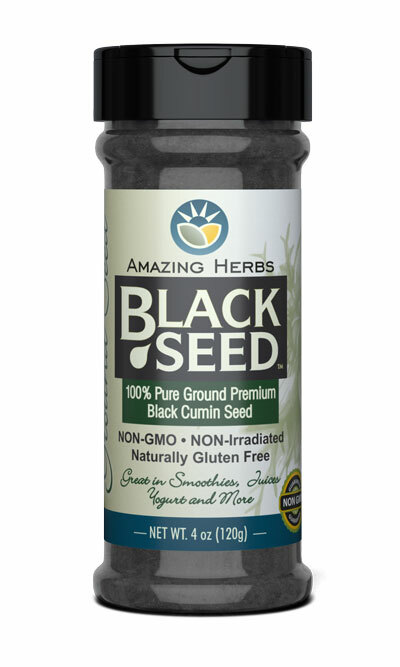 Ingredients: 100% Pure, non-iradiated, untreated, and unwashed finely ground Black Cumin Seed. Disclaimer: Product reviews are provided for informational purposes only and reflect solely the views and opinions expressed by the contributors and not those of the Amazing Herbs. 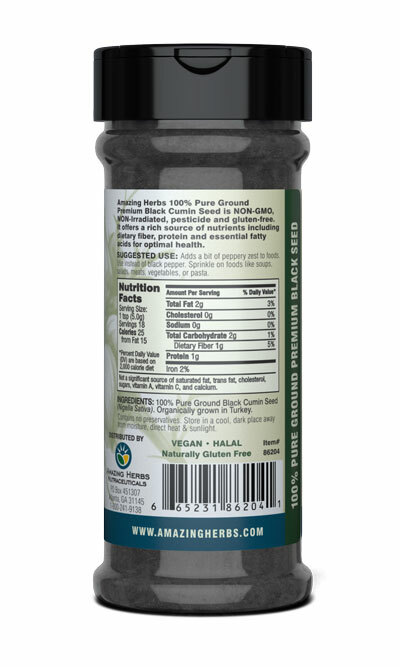 Amazing Herbs does not verify or endorse any claims made in these reviews. AmazingHerbs.com� and Amazing Herbs� are the �Copyright and Registered Trademarks of AMAZING HERBS All rights reserved.